An evolutionary snack machine presented with a new look. A spacious and brightly illuminated showcase enhances the product display. An innovative capacitive keypad with back lit numerals provide high visibility in light and dark places. New user friendly features offer a large display in blue characters with a new easy door latching system. 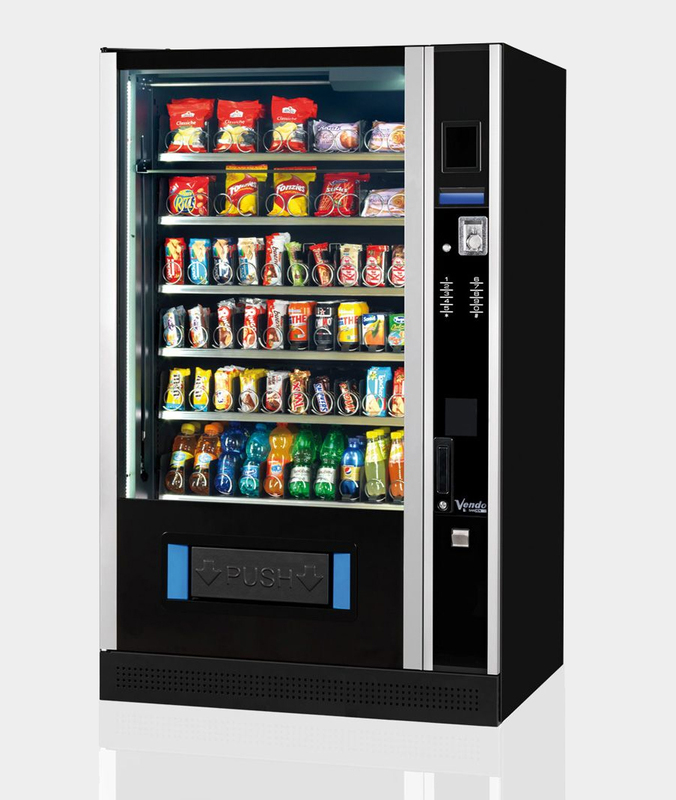 New software features of shelf detection and secure vending system make the machine complete. No.of Shelves Standard 6 / Max. 7. Power Supply v230 V / 50 Hz.